Pyrexar has signed with Kamol Sukosol Electric Company (KEC) to distribute Pyrexar's line of hyperthermia systems in Thailand. For over twenty years KEC has been supplying hospitals and clinics around the country with machinery vital in the fight against cancer. 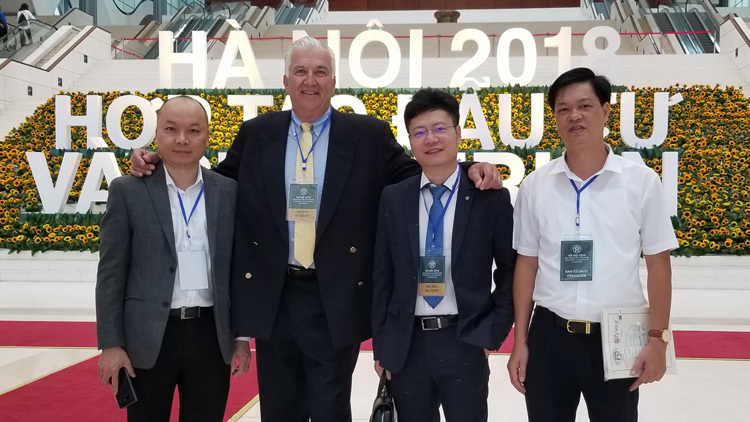 Their talented and well-trained sales and service group have started the process of introducing radiative phased array hyperthermia to their customers. Please join us in welcoming KEC to the Pyrexar family. We are fortunate to have such an excellent organization on our team. 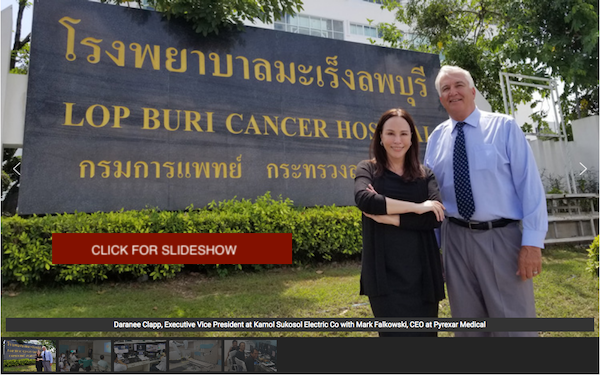 We were in Thailand in June to meet with Daranee Clapp, Executive VP of KEC, and her team to pitch the Pyrexar hyperthermia solution to several Bangkok area hospitals. Below are a few photos of our visit. KEC traces its roots back to 1939 when its president, Mr Kamol Sukosol, started the trading business with a shipment of twelve G.E. radio sets from the United States. Before too long the company grew to have 22 showrooms in Bangkok and its surrounding provinces. Less than a decade later, the company become G.E’s sole distributor in Thailand. With each passing year, new product lines were added and KEC’s scope of activities spread from household appliances to electrical and engineering equipment, air conditioning, motor vehicles, manufacturing and, most importantly, healthcare. The company has a fascinating success story. You can read more here. 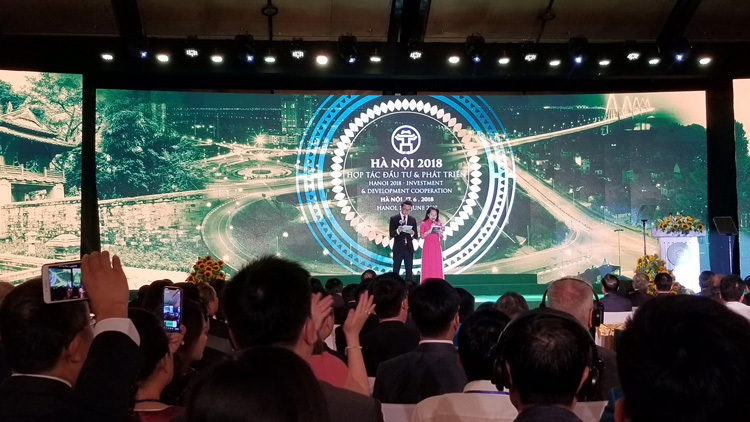 Pyrexar Medical was invited to participate in the Hanoi 2018 - Investment and Development Cooperation event. 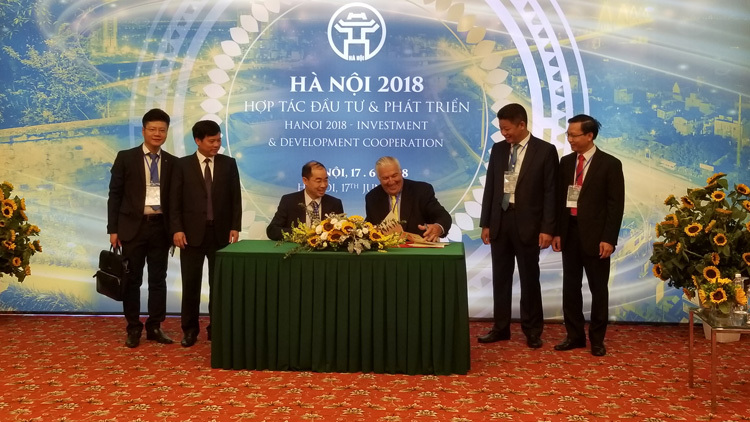 This year's event included twenty four MoUs (Memoranda of Understanding) and investment certificates at a total value of 270 trillion VND (approx. $12 billion USD). 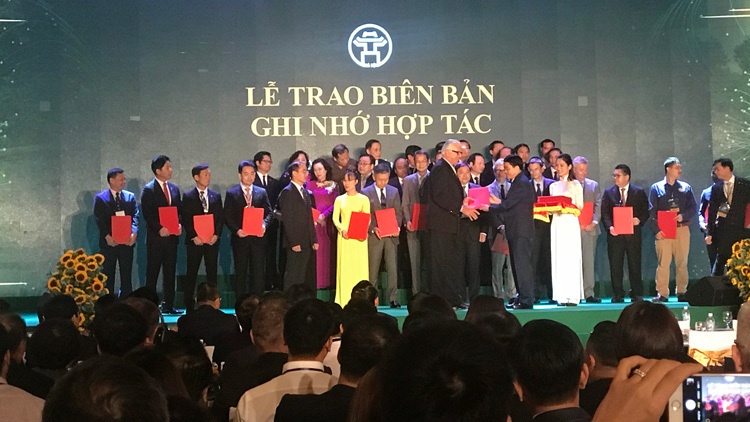 During the ceremony, Pyrexar received an award from the ministry of heath and signed an agreement to deliver hyperthermia systems to government hospitals this year. 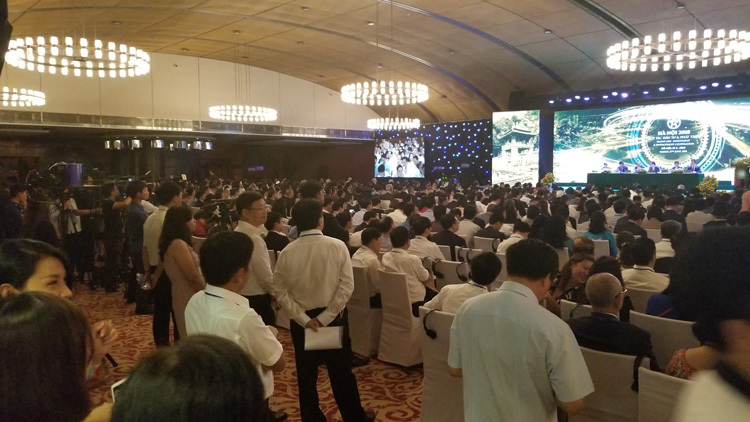 Around 1,500 representatives, including leaders of the government, ministries, international organizations and hundreds of investors and businesses were in attendance. 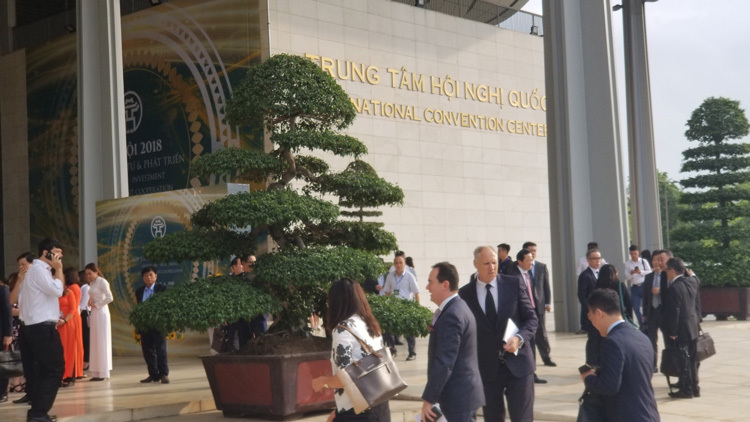 The conference is a chance for the Capital to meet domestic and foreign investors, representatives of embassies, and international organizations, to attract more domestic and foreign investments in Hanoi and the rest of the country. 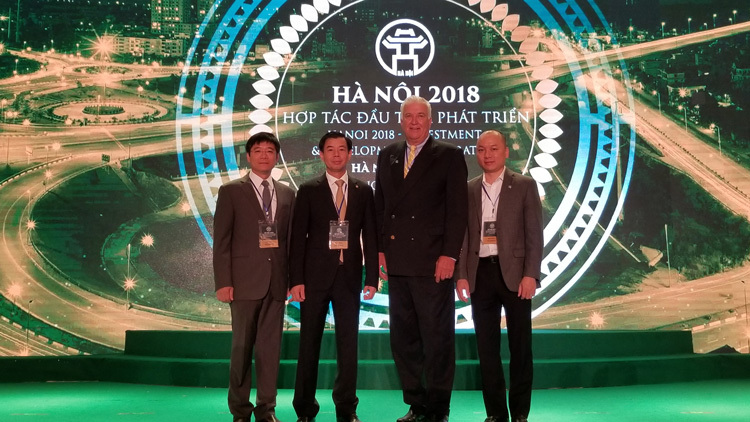 A special thank you to our new distributor for Vietnam, Cambodia and Laos, Thai Thinh Medical of Hanoi City, for making this opportunity happen. 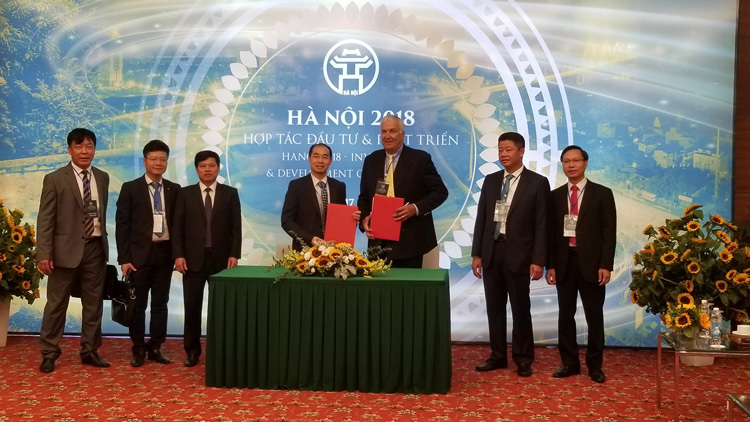 The result; Pyrexar successfully signed agreements for placement of two BSD-500 Superficial Hyperthermia systems, a BSD-2000 Deep Regional Hyperthermia system and our newest BSD-2000 3D/MR Image Guided Thermal Therapy system to Hanoi High Tech and Digestive Center at St. Paul's Hospital and VinMec International Hospital, in Hanoi. The Sigma 30/MR is a MR compatible applicator for treating limbs and pediatric patients. The new design fits into the MRI table tray and can shift left and right for patient comfort. Like the Sigma Eye/MR it is removable allowing for general imaging use. (L to R) James Snider, MD, Jason Molitoris, MD, PhD, Emily Kowalski, MD, Jill Remick. MD, Zeljko Vujaskovic, MD. 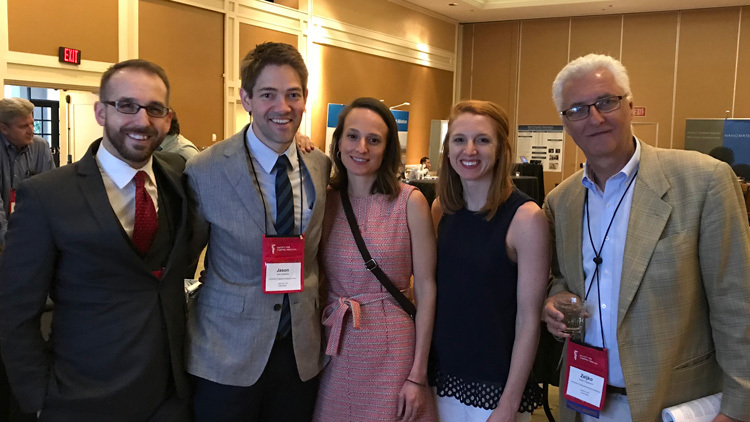 PhD - University of Maryland's radiation oncology group was in full force at the STM. Great presentations on hyperthermia! 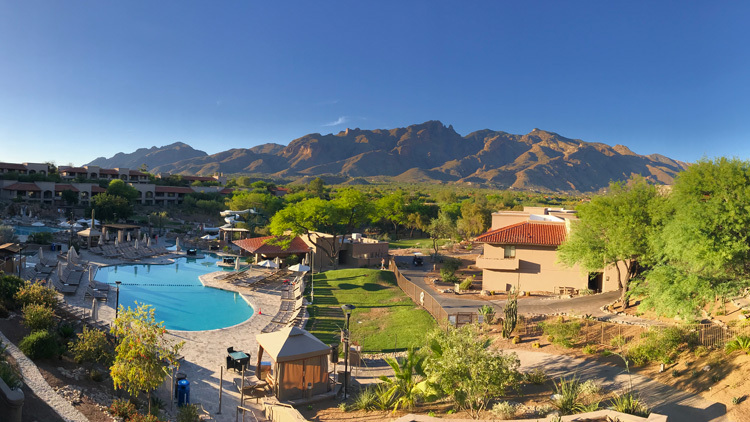 We just returned from a week-long STM conference in Tucson, Arizona (May 7-10, 2018). The theme of the meeting was "Temperature Matters". The thermometer reached 103˚F with a relative humidity of 5%... and "YES" it mattered! 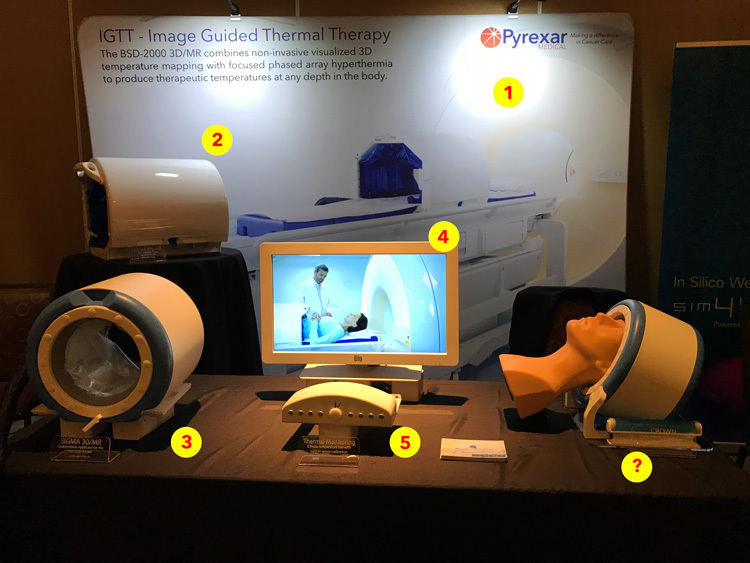 There were over 100 presentations on thermal effect, including radiative hyperthermia, MR-guided thermal therapy, nano particles, HIFU, HIPEC, laser interstitial thermal therapy, immunology, cryotherapy and radio-biology. The common thread among all hyperthermia applications is that it is a valuable therapy in the treatment of cancer. But without financial rational and support, none of these technologies will reach the patient. We all care about results, but reimbursement is what gives you the ability to continue treating patients. That is why we wanted to highlight one presentation that stood out in our mind - "The Impact of Hyperthermia Therapy on Patient Referrals and Patterns of Care within a Radiation Oncology Department" by Dr. J. Remek from the University of Maryland Department of Radiation. In summary, actual reimbursement for a single hyperthermia treatment was less important than the additional services that a hyperthermia patient brings to the practice. Dr. Remek tallied all of the billable services rendered at the University of Maryland associated with its BSD-500 Superficial/Interstitial Hyperthermia System in the radiation oncology department (U of M is installing a BSD-2000 in their Proton Center). 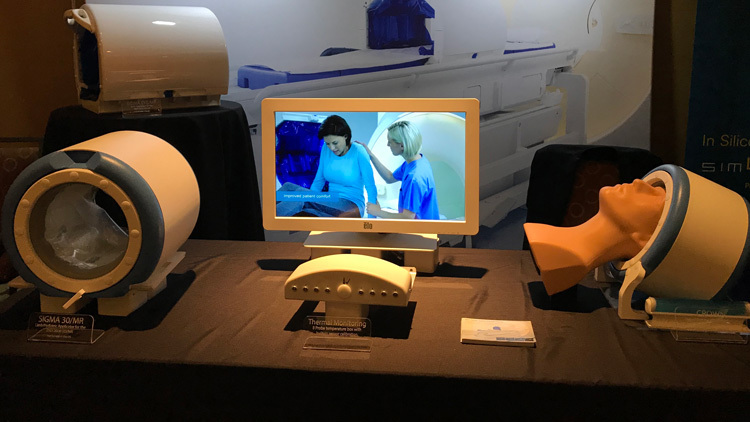 Of their sampling of patients who received hyperthermia, the additional radiation, imaging and care services increased their revenue stream by 15%-19%. Their reasoning is that new patients, referred from outside the hospitals network, increase billable services that they would not have received if they did not offer hyperthermia. The STM conference is a intimate show, with 150-200 participants. 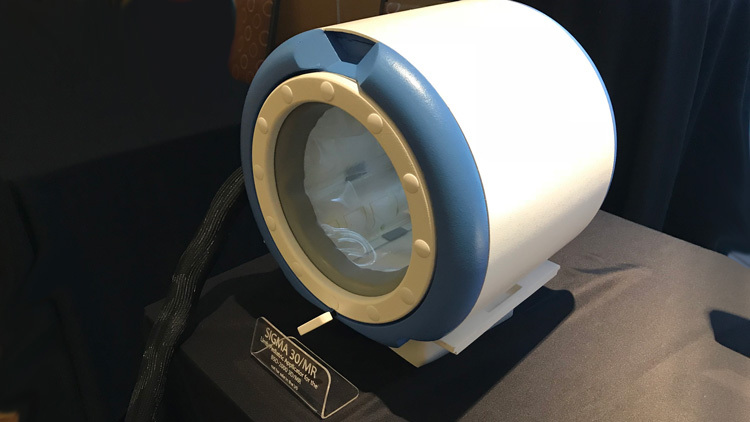 Pyrexar sponsors the show, not to find customers, but as an effort to support hyperthermia research and the STM organization. We still like to show off what we have been up to and our small 10ft booth was packed with lots of new stuff. Next on the table is a new innovation for existing BSD-2000 users. We have a new large screen touch monitor and upgraded control software. The software has the same ability to monitor and control the heat zone, but the user interface has been formatted to more user-friendly. In front of the screen is the new temperature box. Repackaged to be user-friendly and less obtrusive, the temperature box features improved probe connectors and a probe calibration well similar to the BSD-500. Instead of a water bath, the user inserts the end of the probe into the well and initiates calibration. Quick and easy. Last but not least..... Sorry we can not talk about the last item. We are currently in development of a new device. If you attend the ESHO show this week, you may get a closer look.